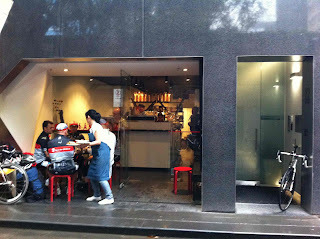 Yes, new cafes pop up everyday in Melbourne, but this little hole in the wall establishment is a little treasure located at 22 Ridgeway Place in the Melbourne CBD. 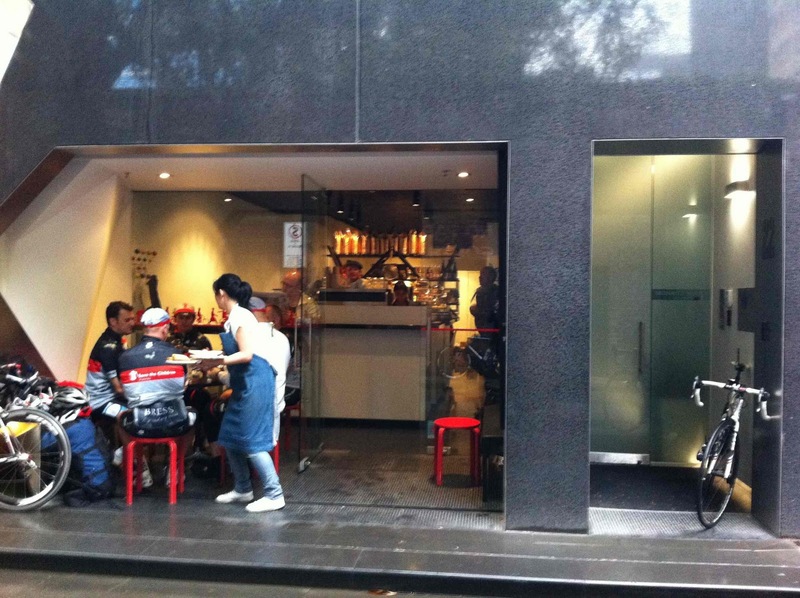 It's off Little Collins Street, between Spring and Exhibition Street. Liaison Cafe has no pretensions about being any more than just a damn good coffee place, although you can get a nice ham and cheese croissant for a light brekkie - the freshly sliced tomato was a healthy bonus. What can I say, other than that the coffee is damn good. 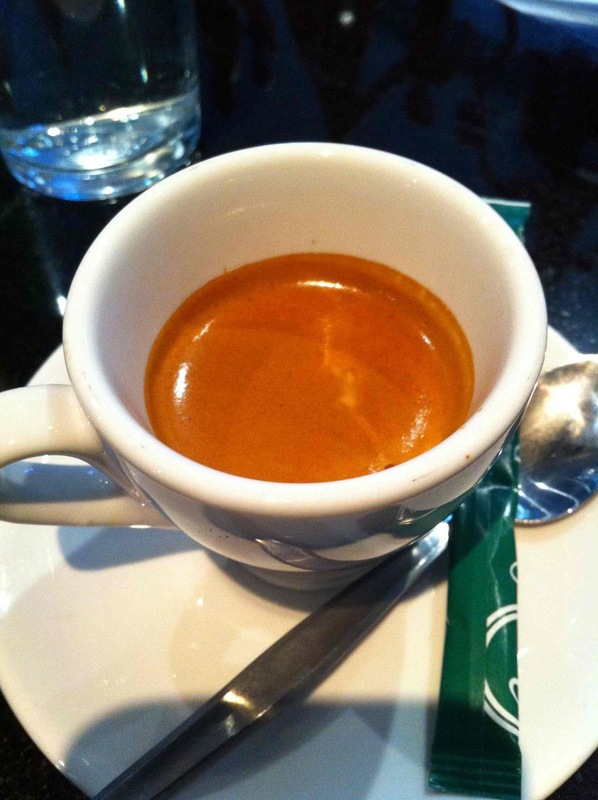 I enjoyed a tasty, flavoursome espresso, sporting thick, rich crema all the way to the bottom of the cup. 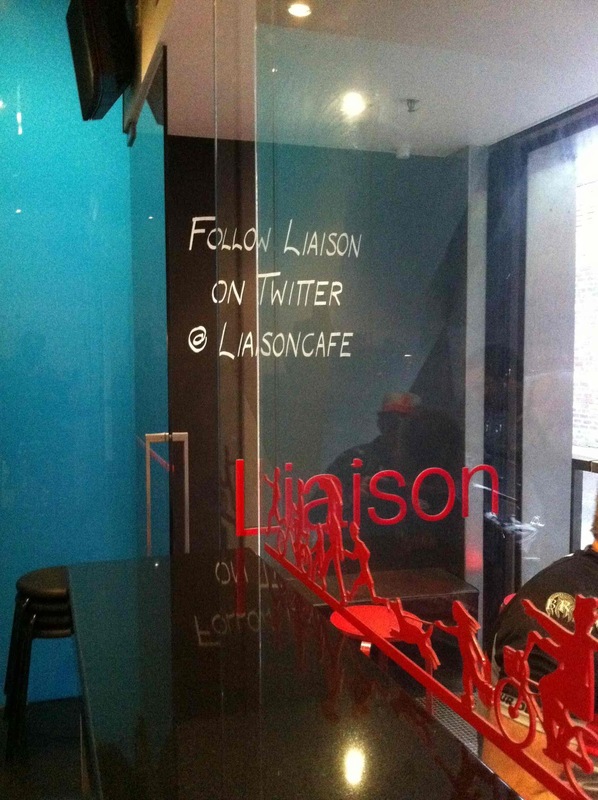 If you are ever in the east end of the Melbourne CBD and need a coffee fix, treat yourself to one at Liaison Cafe. 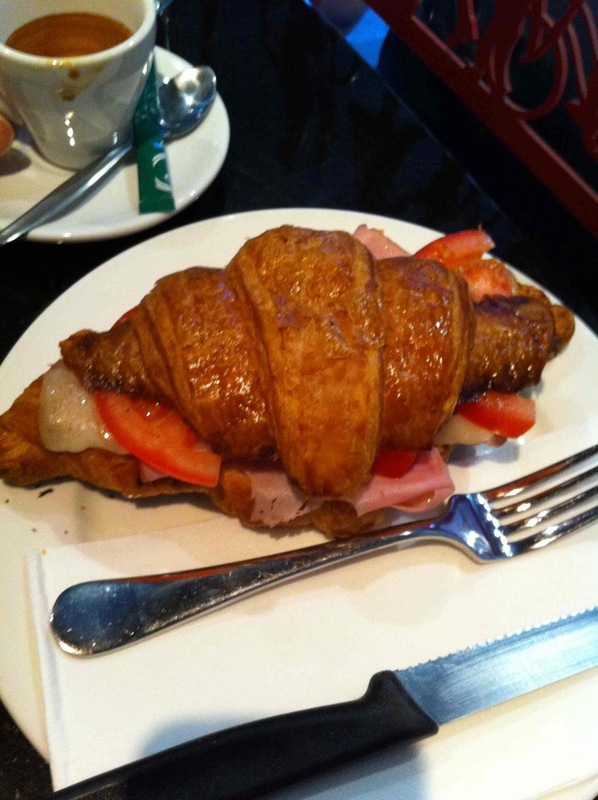 You'll have to deal with the sight of grown men clad in lycra (who seemed to be out in force at Liaison Cafe the morning I was there), but hey, nothing in life is perfect.